Steaks for him, salmon for her… or vice versa. Whatever your mood or like, both of you will surely enjoy these sumptuous steaks and salmon meticulously prepared at Burgoo on this Valentine’s day. For as low as P595.00 you can choose from quality and premium steaks at Burgoo such as Grilled Angus Rib-Eye Steak, Surf and Steak, New York Steak, Country Steak with Onion and Mushroom, and Grilled Steak ala Pobre, etc. 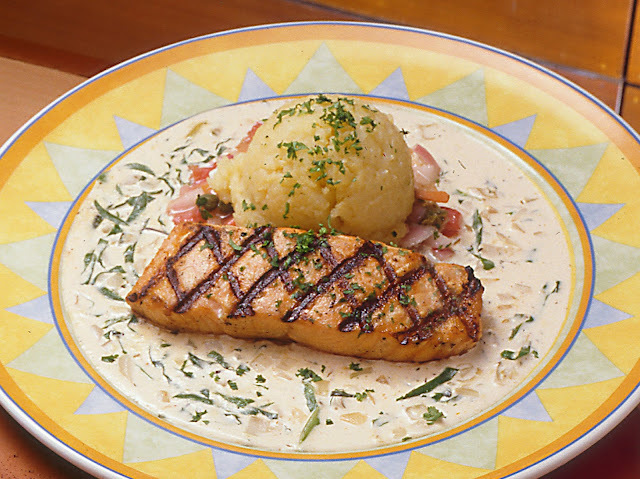 Likewise, highly recommended is their Spinach Grilled Salmon, grilled to order and served with spinach cream sauce, mashed potato and caper salsa. Make this Valentines extra special by giving your beloved a long stem of red rose compliments of Burgoo. Celebrate Valentines at Burgoo located at T. Morato in Quezon City; Powerplant Mall in Rockwell Makati; The Podium in Ortigas; Gateway Mall in Araneta Center Cubao; Robinsons Galleria in Ortigas; SM City The Block in North EDSA; Mall of Asia in Pasay; SM City Marikina; SM Southmall in Alabang, The District in Cavite; 3rd level Terraces Mall in Fairview; Starmall in Taguig; and Solenad, Nuvali.